White Horse Marquees is owned and run by Bertie and Francie Grotrian. Bertie was an Army officer before taking over White Horse Marquees more than 20 years ago. He is calm under pressure and has a reputation for being utterly reliable ensuring that each marquee is delivered on time and immaculately finished down to the last detail. He has a huge depth of knowledge about what makes a great wedding or party. Francie worked for an interior design company in London. She has recently been involved with the organisation of several large charity fund-raising events using our marquees. She takes over the management from the wonderful Angie who was with White Horse Marquees for many years and who still pops in from time to time to keep us on our toes! Francie and Bertie will be able to guide you through the bewildering array of choices and help you to create the perfect event. Working tirelessly in the background our head foreman, Ryan, makes sure all the right equipment is delivered clean, tidy, efficiently and safely. He is a perfectionist. Ryan has over 30 years experience putting up marquees and his knowledge of marquee erecting is unrivalled. The rest of the our marquee team are carefully chosen for their commitment to delivering the highest standards in a friendly and helpful way. 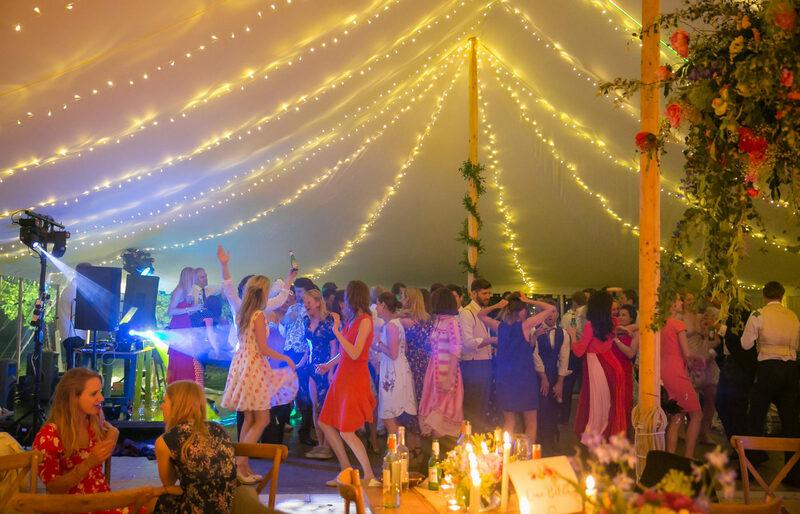 We pride ourselves in being able to reply to your emails very quickly and we truly enjoy helping you organise your wedding or party (being serial party-givers ourselves!). We are event planners really. The Royal Parks chose White Horse Marquees to provide all the traditional marquees for the Queen Diamond Jubilee in Richmond Park. We buy new marquees/equipment each year and we have recently added a round-ended marquee. It is 40′ diameter and the round ends can be added to any of our marquees to make them oval. This is already very popular. For 2019 we have a brand new 70’ x 30’ traditional canvas marquee with castellated valance. We are based in the south-west of England in Wiltshire not far from Warminster and Shaftesbury (Dorset) but we are only a few miles from Dorset and Somerset. Although most of our work is in Wiltshire, Dorset, Somerset and Hampshire we travel to London and further afield if we are able to. Bertie can visualise space so cleverly and he now has some CAD software which he has finally mastered and which can show you 3D views of your marquee. So if you are looking to hire a marquee in Wiltshire, Dorset, Somerset, Hampshire or occasionally further afield do PLEASE get in touch.